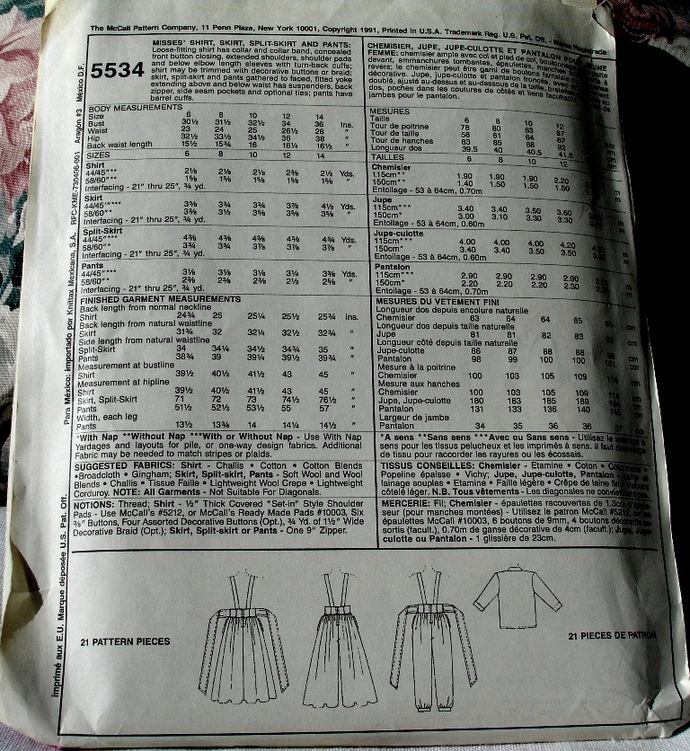 This pattern makes a loose fitting shirt that has a collar and collar band, concealed front button closing, extended shoulders, shoulder pads, and below elbow length sleeves with turn-back cuffs; shirt may be trimmed with decorative buttons or braid; skirt, split-skirt and pants are gathered to faced, fitted yoke extending above and below waist and has suspenders, back zipper, side seam pockets and optional ties; the pants have barrel cuffs. 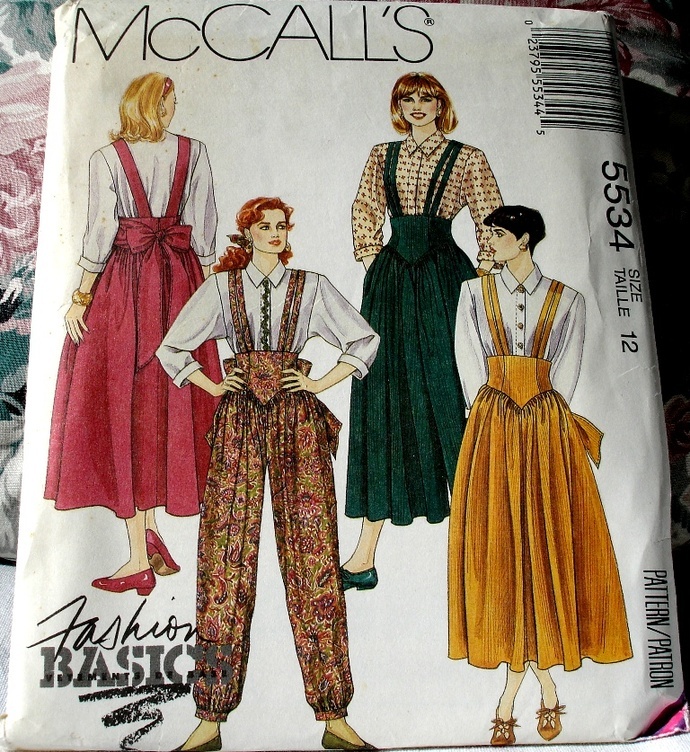 Back Waist Length 16" 16-1/4"
This McCall's 5534 Misses' shirt, skirt, split-skirt and pants pattern is uncut and factory folded. 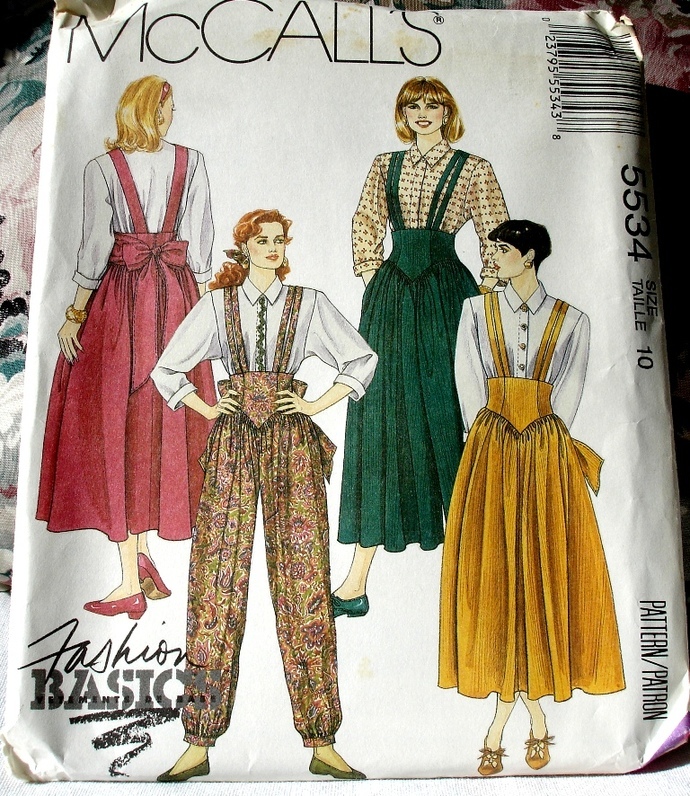 The envelope is in very good condition considering it's age.Pattern was copyrighted in 1991.